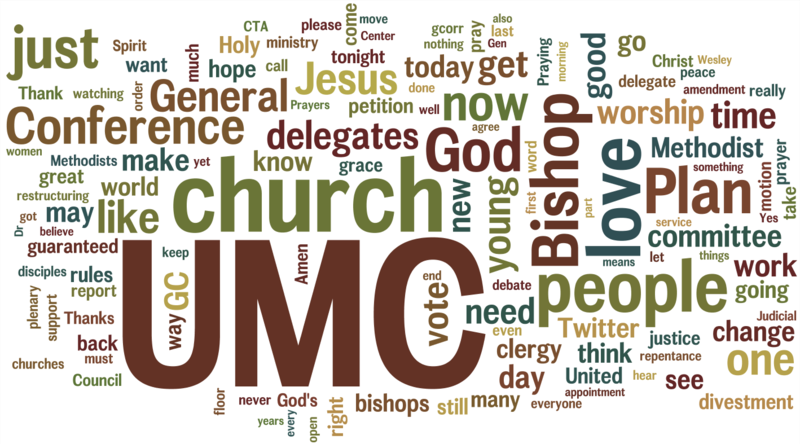 Twitter was a powerful tool of engagement during General Conference 2012. 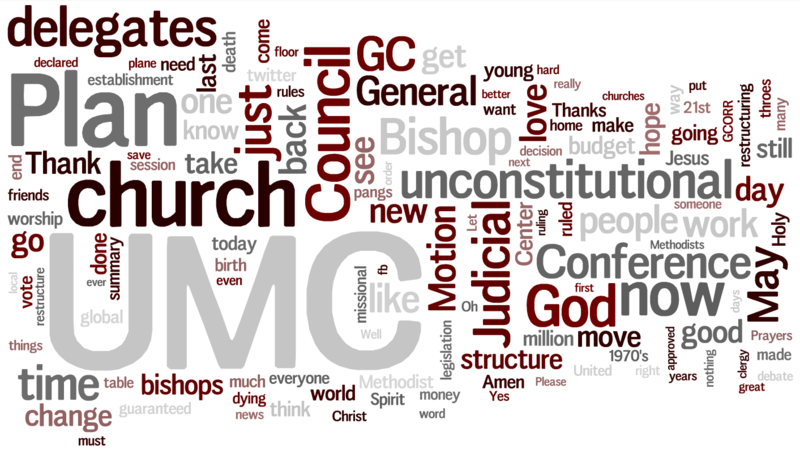 I thought it would be fascinating to archive and analyze the updates tagged with #gc2012. 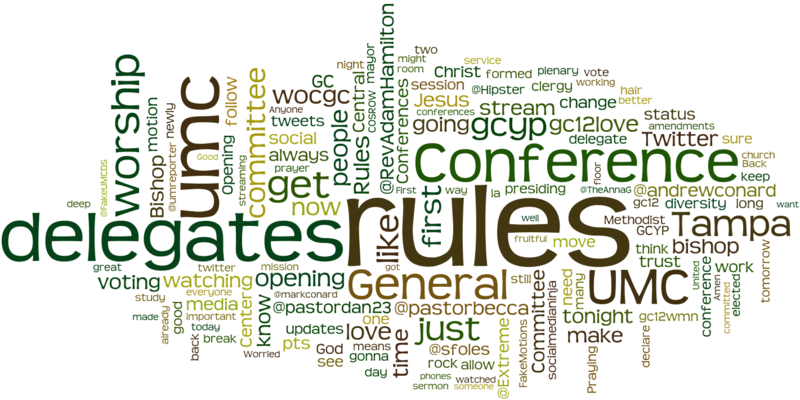 On Tuesday morning, I set up an Archive of the #gc2012 hashtag through a HootSuite Pro account. Every day I downloaded the data from the previous day, corrected the date and time to be local for Tampa, removed extraneous data and put it in a spreadsheet. 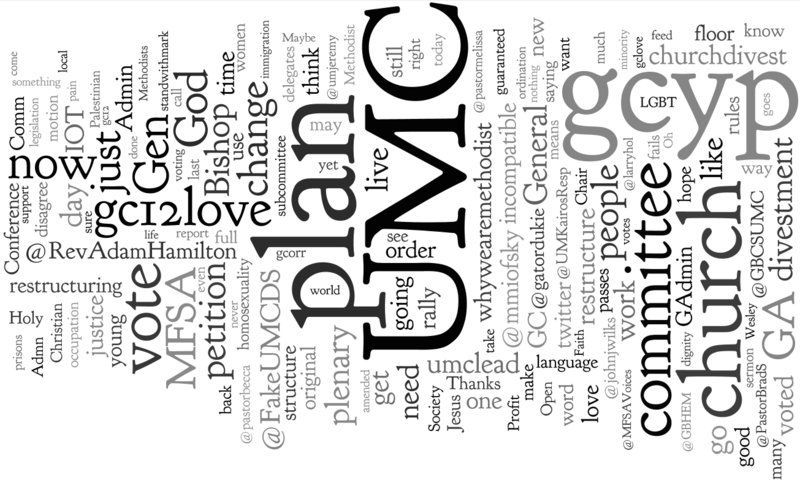 Then I used Wordle to create a word cloud with the text of all the updates for that day. After a few days, I began to edit out Twitter usernames and prominent hashtags to get a better view of the conversation. I hope that you enjoy the results! Where can I find the data? Where can I download full size images for the entire conference? 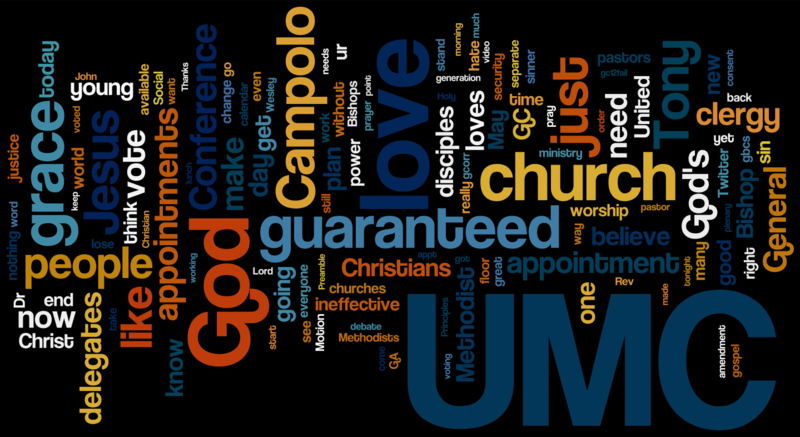 I created multiple word clouds for the entire conference in various color schemes and arrangements. You can find the links to these images below. Where can I download full size images for each day? How can I support and join in this project? Share – Use http://j.mp/JPiBqj to share this blog post with others. Post – Use the images in your own blog posts, make prints, share with others and include in articles both online and in print. Donate – Will you please donate to a few dollars to help cover costs of the archiving service? Use this link to donate securely via PayPal or credit / debit card . Thanks for putting this together! 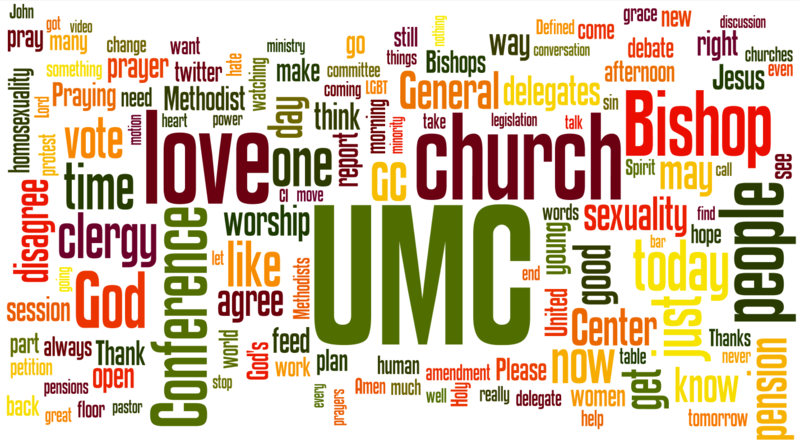 It would be interested to do the same thing with comments, observations, recommendations, and motions at General Conference. This gives a flavor of things. No problem. I was thinking it might be fun to see what it might look like and decided to go ahead and do it! Fascinating stuff, Andrew. Cool to see GCYP stand out! Interesting that God is so small. Makes you wonder…. Great job Andrew! I think these types of graphics give a good perspective on what’s being talked about. I realize now- after I suggested you filter out names- that I may have been mistaken. As I thought about that it dawned on me that names can give a good indication of who is saying what and who is being retweeted the most, which often can be as important as the content itself. Anyway, good stuff and good work.